The hospital, Musgrove Park, was named as a Global Digital Exemplar for the NHS last year and won £10 million in Government funding to undergo digital transformation. Implementing the Steams app will be part of this transformation project to further improve patient safety. 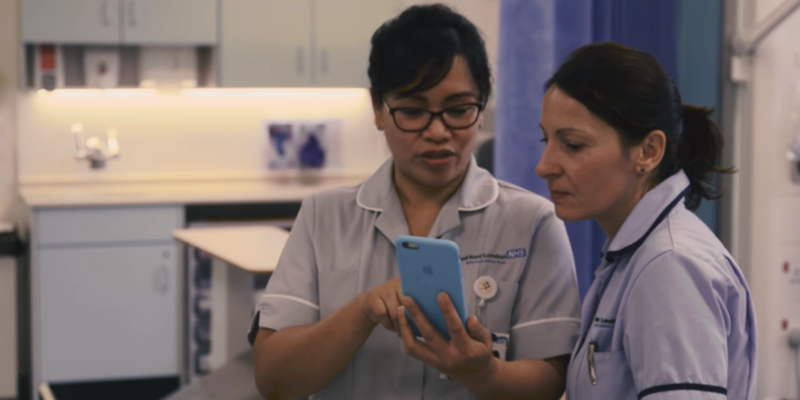 Nurses in the Royal Free NHS Foundation Trust say the app saves them up to two hours a day in a blog post by Google DeepMind, allowing them to redirect valuable time into patient care. “This is all about early detection of seriously unwell patients so that we can immediately escalate care, ensure a very rapid response, and make sure they are treated quickly by the right specialist doctor. In this way we can make more of a difference, more quickly” said Dr Luke Gompels, consultant in medicine at Musgrove Park Hospital. Progress has not halted despite the controversy around consent as DeepMind was given “legally inappropriate” access to personal medical records of 1.6m British patients to trial Streams. However, regulation states that unless explicit consent is given by the patients, this data can only be shared for the purposes of “direct care”. In its latest deal, patients will not have the option to opt-out from data sharing, although this is a decision made by the hospital and not DeepMind itself. We have seen the benefits of this new technology in hospitals. For example one patient, Afia Ahmed, was able to receive quick treatment by doctors who were alerted by the app as she developed a life-threatening condition after giving birth. Streams app could have a bright future as it expands into more hospitals utilising digital technologies in order to help save more lives. “A London NHS hospital trust has teamed up with tech giant Google to share patient data so it can save more lives.” Reported by BBC News. A five-year collaboration has just been signed which will see Google’s DeepMind AI implemented into the Royal Free London NHS Foundation Trust’s various hospitals to improve patient care. DeepMind will analyse blood samples from patients as they come in and hospital staff will be able to access real-time data through a mobile app called Streams. Alerts will be sent to medical staff if the patient’s blood sample shows signs of acute kidney injury at its earliest stages. Google has been making great steps forward in the field of machine learning through their DeepMind project. InterQuest Analytics practice has previously discussed these breakthroughs in great depth, most recently it’s victory over both a grand master and the current world champion at the ancient strategy game Go. 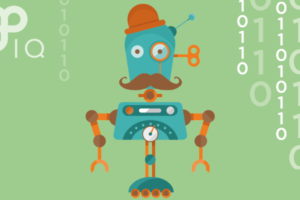 Google is now turning its machine learning eye to another, altogether more altruistic field - it’s working with the NHS to treat head and neck cancer. Although Google is not going to be on the front line developing treatments for cancer, the intended use of DeepMind is centred around detection and differentiation. To achieve this, DeepMind will analyse 700 CT and MRI scans from former University College London Hospital (UCLH) radiotherapy patients. Google then hope to develop an algorithm that can automatically differentiate between healthy and cancerous tissues, cutting the time needed to design targeted radiotherapy treatments from four hours to just one. This actually isn’t the first time Google has used DeepMind to address medical issues. Before this, the tech giant has worked with Moorfields Eye Hospital in east London to build a machine learning system which aims to recognise sight-threatening conditions from digital eye scans. On top of this, Google formed a software partnership with NHS hospitals to alert staff to patients at risk of deterioration and death through kidney failure - although it was marred in controversy surrounding privacy issues with the sharing of medical records. Both Google and the NHS trust appear to have been very much alert to the potential risks this time around. A Q & A on the UCLA website states that ownership of the data will be retained by the hospital and, at the end of the partnership, DeepMind “must securely destroy all copies of anonymised data received”. We’ll have to wait to see just how effective DeepMind has been in its efforts here. However, if successful, we could be at the precipice of a true technological revolution in regards to how medicine is practised in this country.